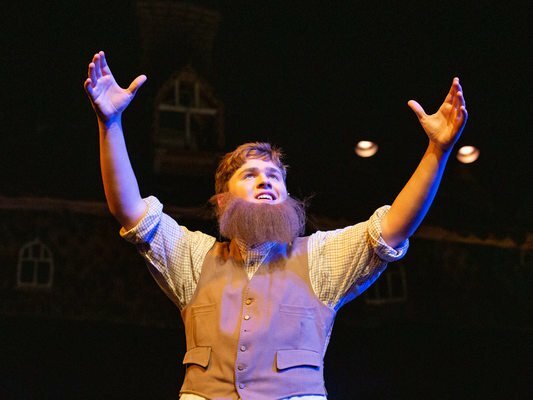 On the 28th, 29th and 30th of March, Winchester College and St Swithun’s School showed the public the fruits of six months’ labour with a series of excellent performances of Fiddler on the Roof at the city’s Theatre Royal. Fiddler tells the story of Tevye, a Jewish milkman living in the Russian Pale of Settlement who struggles to reconcile his faith with his daughter’s marital choices, and the conflicts between the modern world and the traditions by which they live, against the backdrop of the Russian Pogroms of the early 20th century. The production was one of enormous scale – performed (for the first time) in the city’s public theatre. The previous inter-school production, Oliver!, was led principally by Winchester College and so this year, St Swithun’s School took the reins in leading the direction and management of the production. At first, I wondered what I had gotten myself into - the schedule of Sunday rehearsals looked terrifying, but after the first few were out of the way and we found our footing, I really looked forward to Sunday afternoons. There could not have been a nicer bunch of people with which to spend the time, nor anything that I would rather have been doing. The performances themselves, whilst stressful backstage, were immensely enjoyable, and being in the Theatre Royal brought a dimension of professionalism which I had hitherto not experienced in a school production. The songs, a week after the final performance, are still going around in my head, and anyone unlucky enough to be on my corridor has been treated to a number of renditions of ‘To Life’, belted out at all times! With a professional orchestra, a wonderful set, beards (made of real hair!) along with fantastic costumes and intensely rehearsed dancing, acting and singing, it is something that the director, all the cast and I am certainly proud of! I am immensely grateful to all involved, and when I look back on my time at Winchester, the Fiddler will certainly stand out as a highlight. From the 28th – 30th March 2019, Winchester College and St Swithun’s School staged Fiddler on the Roof at the city’s Theatre Royal. Harry Robinson and Arthur Lyhne-Gold, pupils and performers, look back at the production. Earlier this month, the residents of Phil’s took part in The Producers. Carson White, pupil, reviews the production. 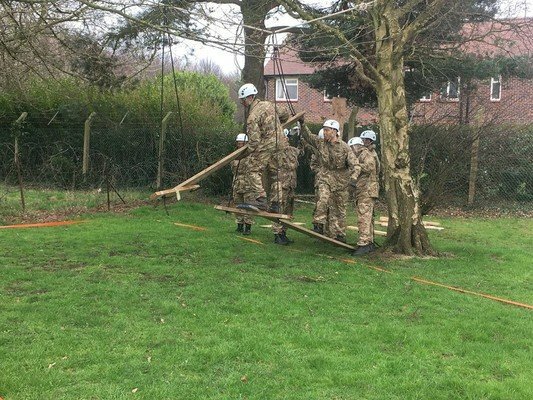 On the 22nd – 24th March, the military skills team from the army section deployed on the 11X Military Skills Competition, an annual competition open to schools and cadet forces across the South East Region. Pupil and Head of the Army Section, Zora Bath reports on their activities. 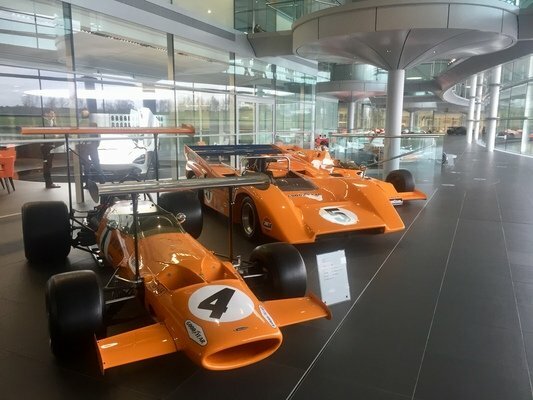 On Thursday 21st March, members of the Car Society had the opportunity to tour the prestigious McLaren Technology Centre, home to McLaren's F1 road car and Applied Technologies efforts. 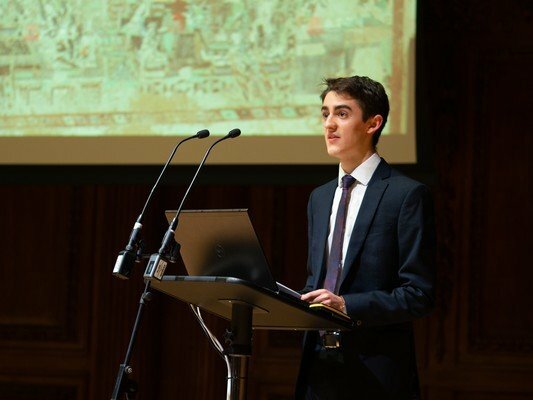 On Friday six boys took part in the final of the school’s art history prize, now in its fifteenth year. Guest adjudicator for the evening was former Collegeman, Professor Stephen Bann, one of the country’s most distinguished art historians.